Walking into Palmer & Co, Merivale's renowned small bar tucked away in one of Sydney’s oldest lanes, one could easily mistake the bar for something more akin to the "House of Chivas Regal". 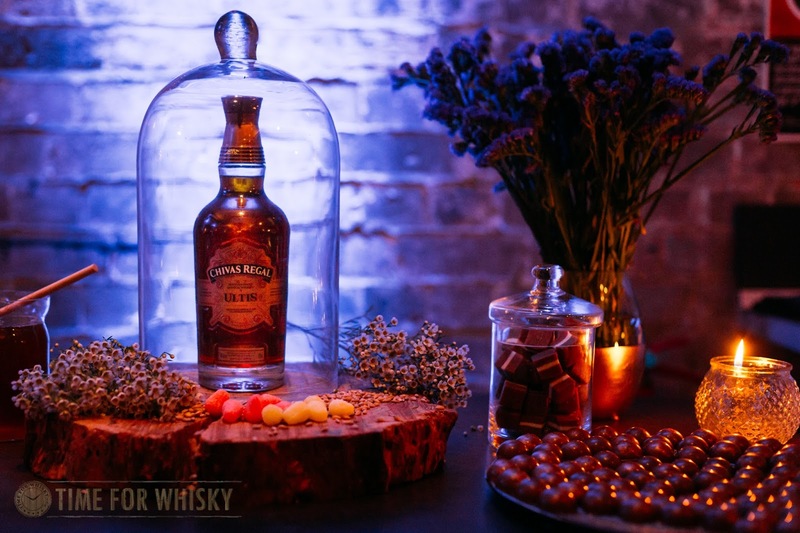 Plastered across the room were Chivas Regal bottles, Chivas Regal mementos and five special Chivas stations. What was about to take place was the special launch of Chivas Regal Ultis, Chivas Regal’s first blended malt expression - though certainly not the first in the industry, with Johnnie Walker Green, Monkey Shoulder and various Compass Box expressions having already represented the segment for some time. The launch celebration was rather special as not only was the occasion to celebrate the new Ultis expression, but also to celebrate Chris Evans (better known as Captain America) as the new Asia Pacific Ambassador for Chivas Regal, and Michael Klim as the Australian Chivas Regal Ambassador. Both Chris and Michael co-starred in Chivas Regal’s "Win the Right Way campaign" which launched in 2014 to help recognise and advocate for the power of shared success - or simply the message that real success is not measured by a one's wealth alone, but by how many lives one has enriched. 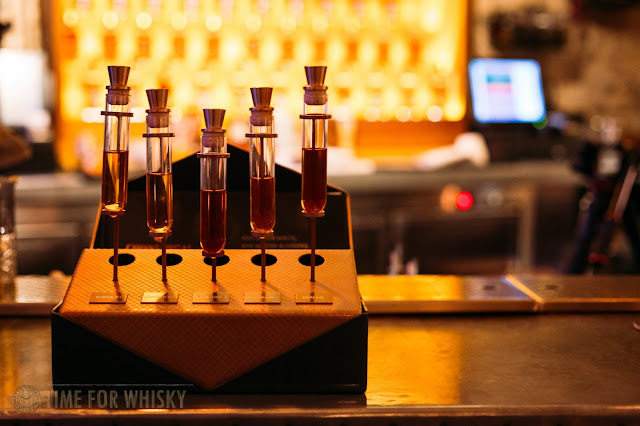 What I truly loved at the launch were the five Chivas stations with each station representing the individual malts that help form Ultis, along with different sensory experiences that all related to the individual malt. 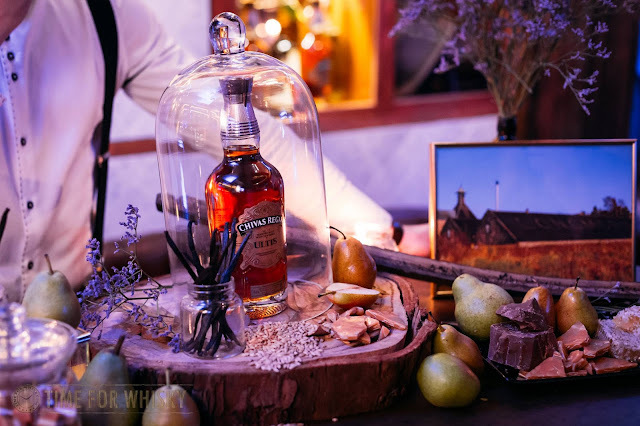 The deliciously fruity and sweet Longmorn was well represented with pears, vanilla pods, honeycomb and milk chocolates whilst over at the Straithisla station we saw stone fruits and nuts visually describing the nutty nature of Chivas’ foundation malt. Speaking to a few bloggers and Pernod Ricard representatives at the event, we discussed the on-going challenge that the whisky industry has with transparency. This is a topic that is at the heart of Compass Box's continued efforts to challenge the status quo by disclosing additional detail on the composition of their blended malts. The Ultis launch saw a move to do something similar by exposing the five individual malts and allowing an appreciation of the five individual malts in addition to the final blended expression. Although the percentage composition of the five malts was not disclosed, it is perhaps a step in the right direction. Having come onto my whisky journey only a few years ago, I am certainly an advocate for such transparency as it allows a deepening of my appreciation of the final expression. Check out more photos from the launch event at our Facebook page. Ultis is a delicious and balanced blended malt and having tasted some of the individual malts at the launch, the final expression clearly reflects different characteristics from the contributing single malts. Time and place? A comfy lounge with few good mates celebrating a momentous occasion. Nose: The nose is beautiful and loaded with sweet and fruity notes. There are hints of apple, apricot, toffee fudge, vanilla, burnt orange and cinnamon. Palate: The palate is soft and mellow to start before opening up notes of apple, toffee followed by warming burst of spices; cardamon, cloves and black pepper. Finish: A warming medium sweet and velvety finish. Chivas Regal Ultis 700ml will be available from November through selected retailers and from December at Duty Free retailers in a Travellers' Exclusive 1 Litre bottling. TimeforWhisky.com would like to thank Pernod Ricard and Eva McKenzie of One Green Bean for the invite to the launch of the Chivas Regal Ultis.